This fact sheet was updated on October 31, 2014. In recent months there has been an unprecedented increase in the number of children fleeing their home countries in Central America to seek refuge in surrounding countries, including the United States. 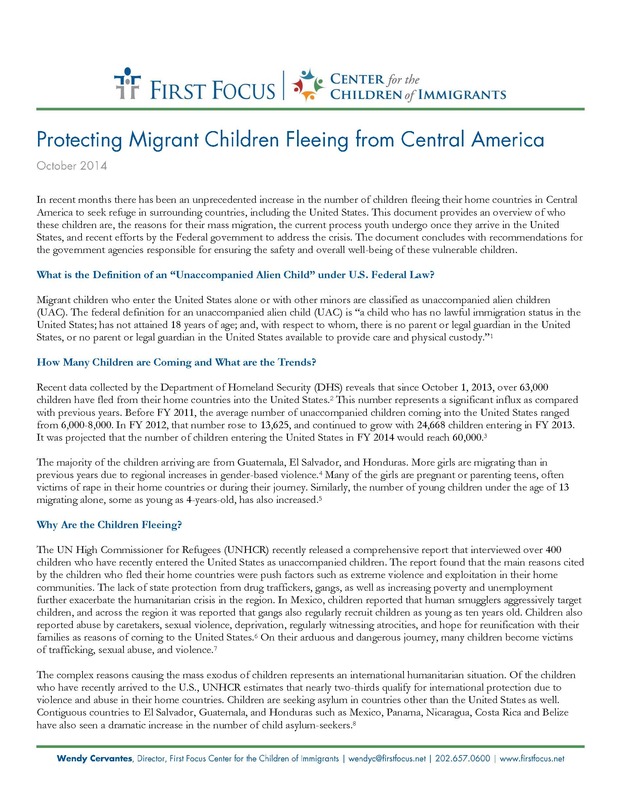 This document provides an overview of who these children are, the reasons for their mass migration, the current process youth undergo once they arrive in the United States, and recent efforts by the Federal government to address the crisis. The document concludes with recommendations for the government agencies responsible for ensuring the safety and overall well-being of these vulnerable children.